Us oily skin girls are working with a double-edged sword. While our excess oils can help reduce the appearance of fine lines and aging, it can also make up look like a greasy mess. And if you wear makeup the other variable in this little equation is figuring out not only a way to stay matte but to keep your makeup on your face. I have always worn makeup, but my routine when I was younger was fairly basic: eyebrows, eyeliner, powder and lipstick. I didn't even wear mascara most of the time! Crazy, I know. But over the last two years I have fallen in love with makeup. And now I pretty much wear a full face everyday (minus the weekends usually). Finding the right primers and foundations taht work for my super oily skin has become a lesson in trial and error. Because skin is a personal thing - what works for someone else with oily skin may not work for and vice versa. I have actually come to really enjoy testing out new primers and foundation combos. And I have amassed quite a collection of primers that "claim" to be great for oily skin. Some have fallen quickly to my behemoth oil production while others have held their own nicely. Below are the ones not only that I myself have tried but that fellow oily skin gals swear by. I tried this primer for the first time a few months ago after seeing so many oily skin beauty gurus rave about it. Does it live up to the hype? Yes. And no. Like most primers it all depends on what foundation you are layering them under. Pores No More is a silicone-based primer - which means it does not play well with water-based foundations. So just make sure you are pairing it with a foundation it plays nicely with. Other than that I have no complaints about this primer. I have tried this with a few of my foundations and I do like the smooth and velvet-y finish it gives my skin. The feel of it is lighter than a typical silicone primer and it has a slight tint to it. If you are of a deeper skin tone you will look rather gray after applying this, but it doesn't affect the look of your foundation over it. I have mentioned this primer quite a few times her on The Mod Woman. And that's because it's a great primer. Especially for being so relatively affordable. 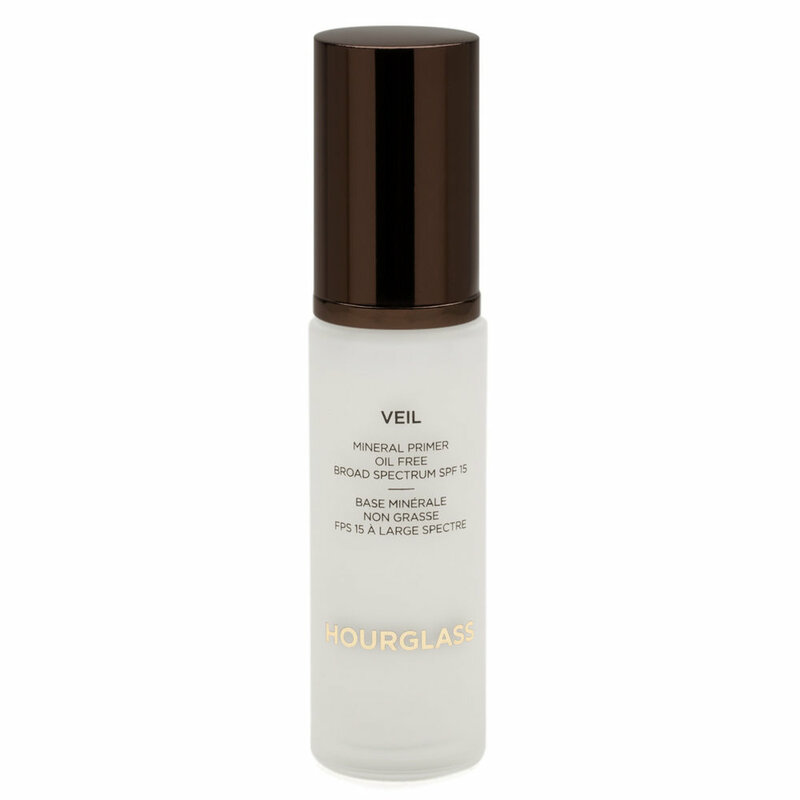 Angel Veil is a dupe of the Hourglass Mineral Veil Primer and it's a darn good one. The consistency is thicker and more creamy but the results are almost exactly the same. If you are scared off by Hourglass' hefty price tag this is a great alternative. The consistency of this is more like a moisturizer. And while I don't think it keeps me extra extra matte - nothing really does that for me - it does improve the finish and longevity of my makeup throughout the day. One of my favorite combos is Angel Veil with my Estee Lauder Double Wear Foundation. Now this primer only works marginally well for me. But I know people who swear by it and so I wanted to include it in this post. Plus - at the lowest price point of any primer on this list, I think it is worth giving a shot and seeing if it works for you. Rimmel Stay Matte says that it can control your oil production throughout the day and reduce the appearance of pores. If you are super oily like me this may not work you. But if you are combination I think this would be a good and affordable option. This bad boy is the most expensive primer on the list. I myself have not been able to get my hands on it because it is always out of stock. And the price tag gives me pause. A lot of pause. But - again - I wanted to include primers that have a great reputation and track record hen it comes to oily skin. And this one definitely does. There is a reason why Sephora can't keep it in stock online! This primer is said to not only function as a broad spectrum SPF (I take this with a grain of salt - see my 10 Bad Skincare Habit To Break Now post to see why)but also helps with reducing redness, evening skin tone and controlling oil. That's quite a hefty list of things for a primer to claim to do! One of the YouTubers I watch on a regular basis is a fellow oily skin Queen and she swears by this. She uses it for pretty much every foundation review and wear test and her skin always looks amazing by the end of the day. So...if you - and your wallet- can stand to be parted with $56 I say go for it! You knew this one was coming....I gush about this primer all the time. It's my "Holy Grail" primer. I have yet to wear anything that holds up to my oils as well as this one does. It is the primer that NYX Angel Veil is trying to be. And while that one is close - it's not quite as good. 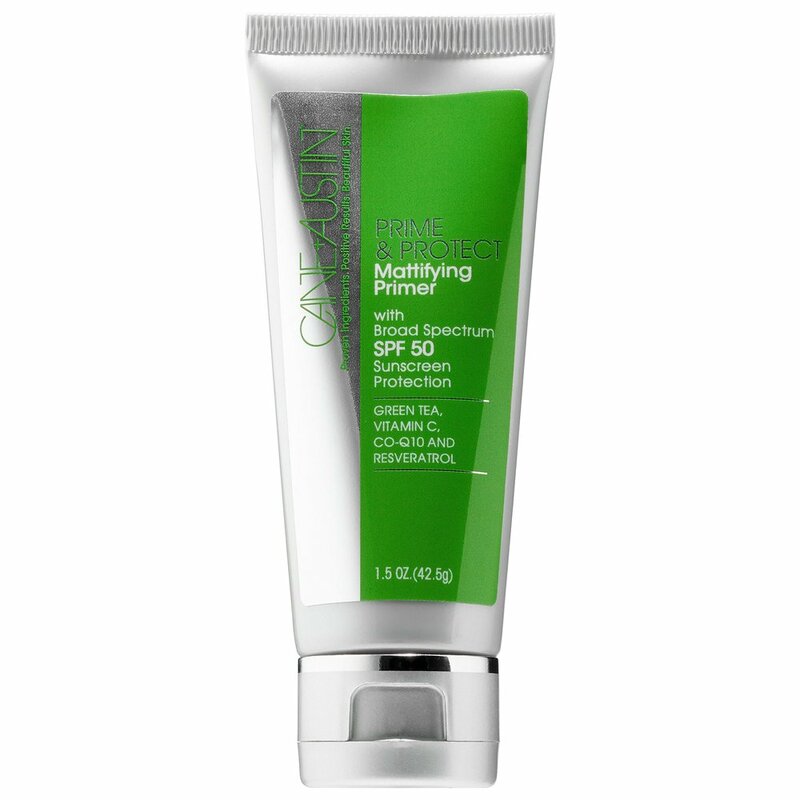 This primer has thin creamy consistency that sink into the skin quickly. Foundations layer perfectly over it and it doesn't feel heavy on the skin like some primers can. This one does have a slight purplish tint when applied so bear that in mind if you have a deeper skin tone. But it is translucent under foundation. I have worn this with pretty much all of my foundations and it has worked under all of them with the exception of one - my Fenty foundation. That foundation is an enigma to me in regards to what works under it so I don't blame Mineral Veil for the issues. If you can splruge on a primer - this is the one I recommend doing so with. This one I am on the fence about. I like it...but I can only wear it with a few of my foundations because it contains various silicones which I always find tricky to work with. What I do like about this primer is the small amount of salicylic acid in it that can not only help fight acne but help control oil. And this does do a pretty good job of that. It just takes a bit of trial and error to find out what foundation works best with it. I am interested in trying CoverFx's new foundation (it's gotten great reviews so far) and layering this under it. One of my tips for trying out the pricier primers on this list is to pick them up in travel size. Not only does it save you money but it can allow you to try more than one at a time. I have travel sizes in most of these because I switch up my foundations so often. But if you have one foundation that you swear by then it would be more economical to invest in one really good primer that works well with your foundation. Do you have oily skin? And if so whjat primer works for you? Let me know in the comments!